This form does not save, so we encourage you to prepare your answers offline in case there are any issues with the submission. You can download a word version here. This application is for CivicSpark project partner proposals for the 2019-20 service year. Your application will help LGC Staff understand your project, identify alignment of your project with our programmatic priorities, and ensure your project is eligible for CivicSpark support. Completion of the application form does not ensure you a placement nor does it obligate you to participate. This is merely the first step in the application and commitment process. LGC staff will contact you to discuss your proposed project goals and next steps once your application is received. Your agency/organization and LGC will confirm a mutual understanding of the project and complete a ”Service Agreement” (contract) with LGC; this Service Agreement will outline mutual roles, expectations, responsibilities, and terms of payment. Once the Service Agreement is signed by both parties, key public agency staff involved in your project will complete a “Pre-Service Capacity Assessment” survey (LGC staff will review this process with you when we discuss your application with you. Your agency/organization identifies a “Site Supervisor,” whom will directly supervise Fellow(s); Site Supervisors will participate in a Pre-Service Project Partner Orientation webinar, and makes all necessary preparations for Fellow(s) arrival. All fields marked with a red *are required. You must have someone noted for each role, and one person can be noted for multiple roles. However, the first person, and only one person should be listed as the “project contact.” Add additional contacts after as needed. Project contact = who submitted this application, and who we work with to get the project setup. Fellow Supervisor = who will directly supervise the Fellow(s). Billing contact = who will process payments. CivicSpark sends out a monthly newsletter with stories about Fellows' work, our partners, our Alumni, and often includes links to other statewide events and resources. We won't add someone without permission. Can we add the main project contact to the CivicSpark Newsletter distribution list? CivicSpark’s purpose and goal is to build the capacity of local government — to collaborate across sectors in order to address emerging environmental and/or socioeconomic resiliency challenges — through research, planning, and implementation projects. Broad environmental (e.g. climate, water, etc.) and/or socioeconomic (e.g. affordable housing, mobility, etc.) challenges the Fellow(s) will be working to address. Overview of the Fellow(s) role in addressing these needs. Each Fellow must work on capacity building projects that impact at least 1 (but not more than 3) specific “beneficiaries.” Beneficiaries can be individual local government agencies, departments within agencies, or program units. Each capacity building project should have well defined outcomes that will help each beneficiary address their environmental (e.g. climate, water, etc.) or socioeconomic (e.g. affordable housing) resiliency needs . Many of our candidates are recent college graduates and/or are considering service in a community or state they have never lived in before. Additionally, if your organization is in a less familiar region of California, candidates may not know much about your community. In order to help our candidates understand and appreciate your organization and your community culture please provide some insights into what it’s like to work in your organization and live in your community. Please provide a brief description (no more than 400 words) touching on; the workplace culture and environment; what about serving with your organization will be a good professional development experience; and what about your community makes it an interesting place to live and work. As a previous partner, you understand that CivicSpark’s purpose and goal is to build capacity for local governments. It is important that AmeriCorps resources (i.e., CivicSpark Fellows) are not used to “sustain” on going projects or initiatives, but rather to build new capacity for the organizations benefiting from CivicSpark through increased resources, new products and activities, or new organizational capacity. The following section includes a series of dropdown options for you to categorize your project and establish a project profile. Categories include target regions, activities, topics, and outputs. We will use this project categorization to a) match projects more closely with Fellow applicant interests, and b) rank project applications in accordance with our programmatic priorities. Note: for some of the sections you will estimate the percentage of the project that fits that criteria. Each category should total 100%. For example; General Activity Types: 50% research, 0% Planning, 50% implementation. What kinds of activities will the Fellows focus on? Can be a mix of some or all types below. Enter zero if none in a given section. Total should equal 100. Where will the project be focused? Can be a mix of geographies. Enter zero if none in a given section. Total should equal 100. In order to best identify the Fellow(s) who will be most successful in your project, we ask you to identify the most important traits or skills you hope your Fellow(s) to have. CivicSpark is committed to nurturing the next generation of sustainability leaders by providing a strong professional development experience for Fellows. A critical part of that experience is placing Fellows under the guidance of a Site Supervisor who can help the Fellow(s) learn, grow, and benefit from exposure to their host organization and network. Hosts may have local partners take a role in supervision, but as the host organization you are agreeing to identify one Site Supervisor for the Fellow(s) during the 11-month service year. Serving as a bridge between CivicSpark and the host organization. I certify that our organization will identify one Site Supervisor who will fulfil the responsibilities outlined above. Inability to provide suitable and dedicated workspace for your Fellow(s) may affect the project viability. This section asks for information about the project beneficiaries (target local public agencies, departments or programs within a single agency) that will receive support through your project. This information is required, and must be provided before the start of service (8/25/19). You must identify at least 1 beneficiary per Fellow hosted. If your organization is not a local public agency and/or the project is benefiting a different public agency, provide information about that agency. NGOs or State Agencies CAN NOT be beneficiaries. If your organization is a public agency that a Fellow will be supporting, respond with information about your own agency. If multiple departments or programs within a single agency are being served, you only need to answer the three questions below once as the answers apply to the whole agency and you can use the questions below to answer now. If you complete the spreadsheet you can skip the three questions below. Send the completed excel sheet to ahernandez@lgc.org. I agree to provide any necessary beneficiary information and will ensure that related local government staff complete pre-service capacity assessments prior to the program start date (8/25/19). Please respond to the question below with respect to the community the agency named above serves and/or for the agency itself. Answering “yes”below indicates that you meet the eligibility criteria, (ie. have a need for capacity), and are therefore eligible to receive CivicSpark support. These conditions are tiered; that is, if you meet any of the conditions on the first question, you do not need to answer the second or third question. If you DO NOT meet any of the first question conditions but do meet the second condition, you do not need to meet the third. If you don't meet either the first or second conditions, you must meet the third condition to be eligible. Does your community meet ANY of the following conditions? Please describe the conditions your community meets. Does this local agency NEED to adopt a comprehensive and up-to-date strategy (plan, element or other) tofully address the resiliency issue you are seeking assistance for? OR, if the local agency does have an adopted and up to date strategy, does the agency NEED additional funding, programs, policies, or plans to fully implement this strategy? 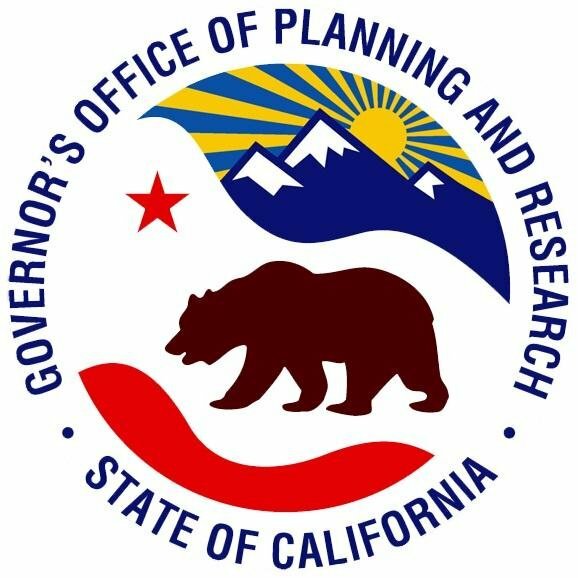 Please describe the resilience strategy need (e.g., what specific strategy does the agency lack or need to update; or what resources are needed in order to implement the strategy). Please briefly describe the current status of this strategy, and provide a link to the relevant plan (if applicable). Does the local agency have specific agency-defined goals for this particular resiliency issue that they are NOT ABLE TO ACHIEVE (e.g., adopted by governing board, or included in an approved plan, etc. but not allocated sufficient resources) without assistance? Please provide documentation of at least 1 specific local government program, policy, or planning goal that your community or agency has committed to, but has not been met or cannot be met without resource- or system-development assistance. Note that the identified program, policy or goal should have defined targets for success rates, quality of outcomes, resource deployment, services provided, or people reached. AmeriCorps programs are funded in part by the Corporation for National and Community Service, and in part by participating local governments. Receiving CivicSpark support requires a fiscal contribution; public agencies or third parties can provide that fiscal contribution. Rates for CivicSpark support are all-inclusive (e.g., covers workers compensation, liability insurance, workplace costs, member personnel benefits, job travel support, etc. ); and is based solely on project work. To proceed with CivicSpark services, LGC requires completion of a signed Service Agreement (contract) and a 10% down payment of total service cost. Service Agreement and down payment must be received prior to the start of CivicSpark Fellow service. The remaining cost of service will be paid monthly throughout the term of service. For additional details on costing and service information for each period refer to the "Fiscal Contribution" section of our website. This represents the general pricing structure and the floor for pricing, but some variations may exist depending on terms and conditions of specific placements. If you are interested in a "half-time Fellow" (650 hrs), please get in touch. While we have supported half-time Fellow placements, they have to be matched locally with another partner also requesting a half-time Fellow. This option can be hard to realize. If possible consider requesting a full Fellow or identifying a matching partner prior to applying, as CivicSpark may not be able to find a match in all circumstances. Please list known sources for the fiscal contribution. If sources are not yet known, please indicate potential sources and expected timeframe for securing funding. Please separate each source with a comma. For this final section, we want to be sure you understand certain conditions and priorities we have for the program. Please review and when ready agree to the following questions and linked requirements. As a federally funded program, AmeriCorps programs are required to track service to participating public agencies (see link below). Once you have reviewed these requirements, please check below that you agree to provide necessary information and contacts as needed to comply with our program guidelines whether before or during the service year. As a federally funded program, CivicSpark Fellows are only allowed to work on contracted activities, are not allowed to engage in fund-raising, and are prohibited from engaging in certain activities. Please review the list of restrictions on Fellow activities (see link below). Once you have reviewed this list, please check below that you understand these restrictions and agree that Fellows will only engage in allowable activities during implementation of your project scope. PLEASE NOTE: We encourage you to save a copy of your answers before submitting in case there are any issues as this form does not save your work. After you submit you should receive an email confirmation. Please check (and check your spam filter) to be sure you receive this confirmation. If you don't your application may not have been submitted. If you do not receive a confirmation please get in touch right away.